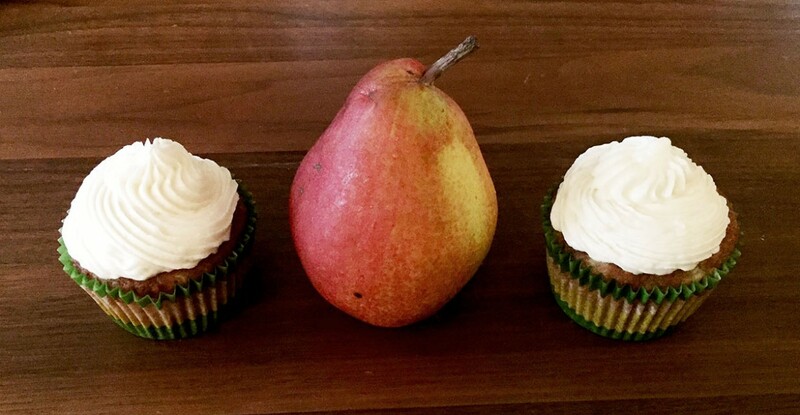 Fruit, good and good for you, is often a cupcake ingredient. See the ones I’ve baked with here! I did not bake cupcakes during maternity leave (though I did manage some brownies), but my husband did. His office was holding a bake-off, and he was all in. 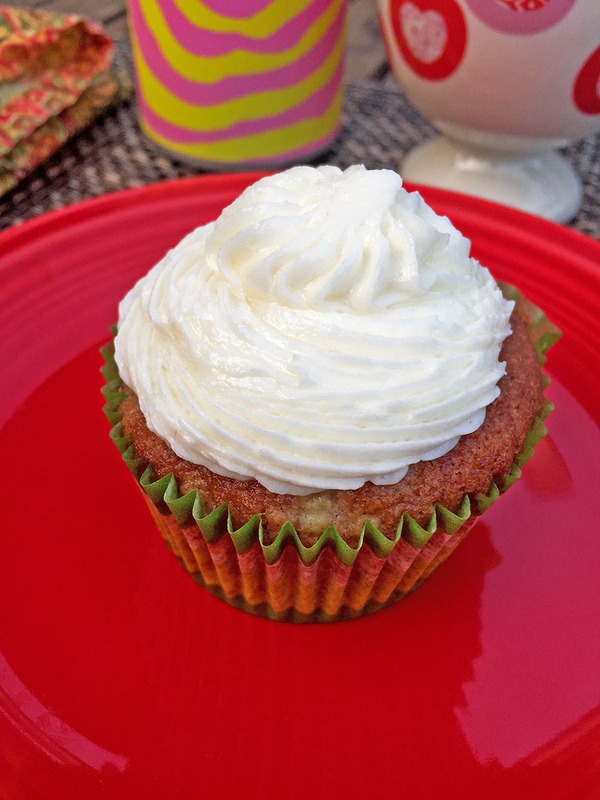 He wanted to bake banana bread rum cupcakes with cream cheese icing and a rum sauce on top. 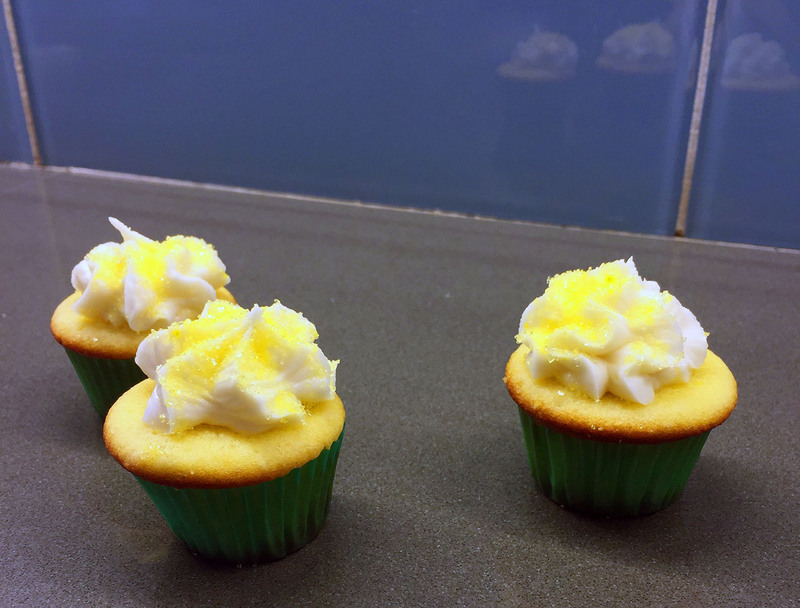 I did not help him bake or frost the cupcakes–I promise!–but I did develop the recipe (below!) for him. The banana rum cake turned out great. 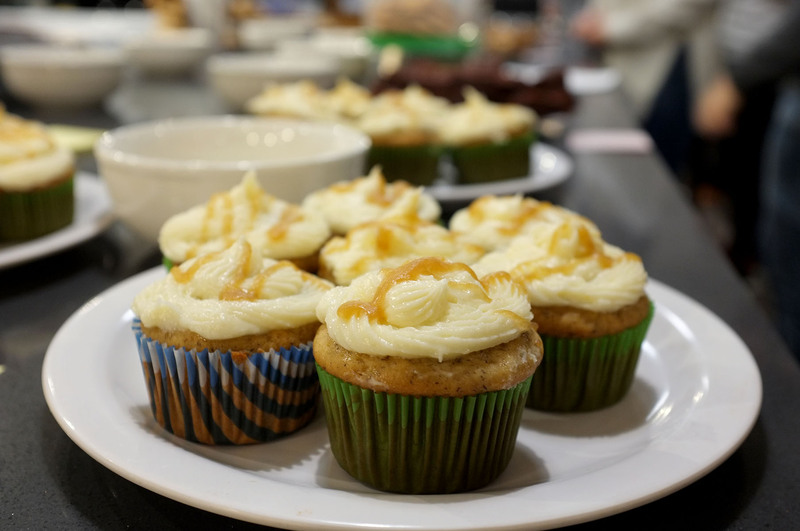 It hit the mark between the taste of both banana bread and rum cake but was lighter than those baked goods typically are. I’m not providing a recipe for the butter rum sauce, as it requires more testing. We started with too much cornstarch, ended up heavily “watering” it down with rum. It worked, but I’m not sure I could replicate it. 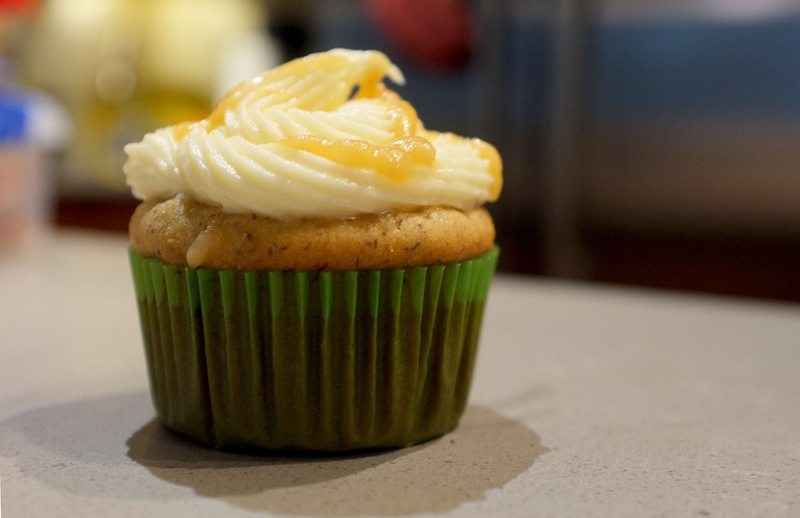 It was made from Mount Gay Rum, cornstarch, brown sugar, and butter. 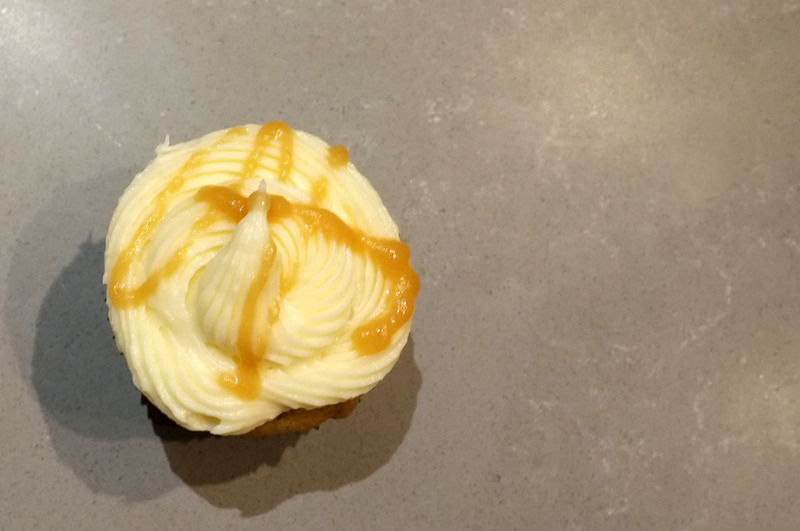 The cupcakes lost third place by one vote! They garnered many sweet comments from happy tasters, though. My husband was disappointed the final product did not taste more boozy. 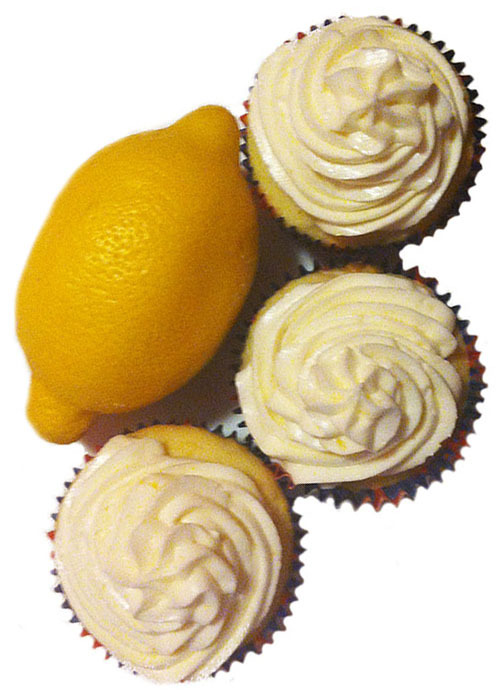 If that is your goal, I would recommend more rum poured over the top of the cupcakes pre-frosting. You could do a rum glaze instead of the cream cheese frosting, more like a typical rum Bundt cake, but that would be a different dessert. 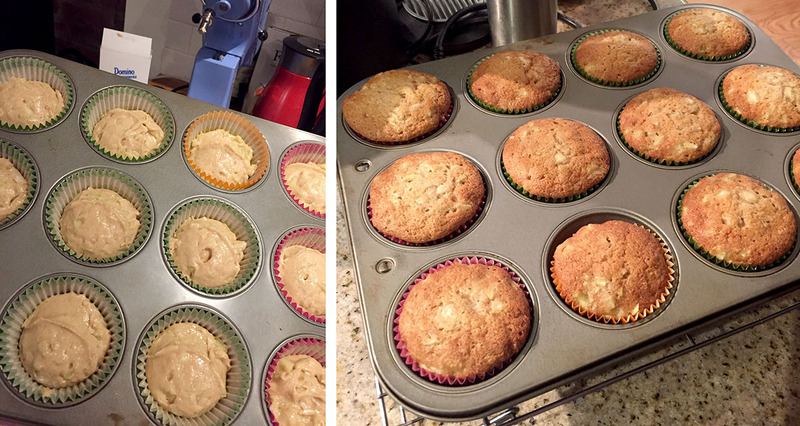 Preheat oven to 350 degrees F. Line muffin tins with paper cupcake liners. Bring rum and butter to a simmer in a large saucepan over medium heat. Turn heat off and let cool. Add sugar to mixture and whisk to combine. Combine the eggs and sour cream on medium speed in a mixer with the whisk attachment. Slowly add cooled rum mixture to the egg mixture. Add the sifted flour mixture (1/3 at a time) to the rum-egg mixture. Mix in the banana purée. Scoop into pans and bake for 20-24 minutes (turning halfway through) or until the tops are firm to the touch. Let cool in pans on wire rack for 5 minutes, then remove from pans. 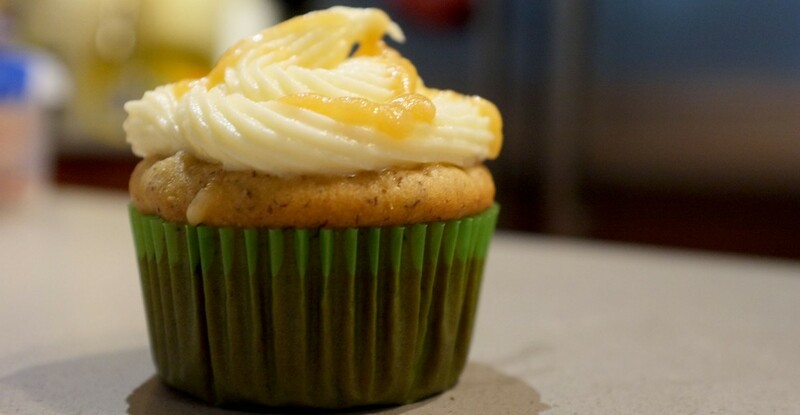 Dribble a teaspoon of rum over each baked cupcake when you take them out of the pans. These Seckel Pears from Red Jacket Orchards, NY, showed up as part of my Local Roots NYC fruit share. 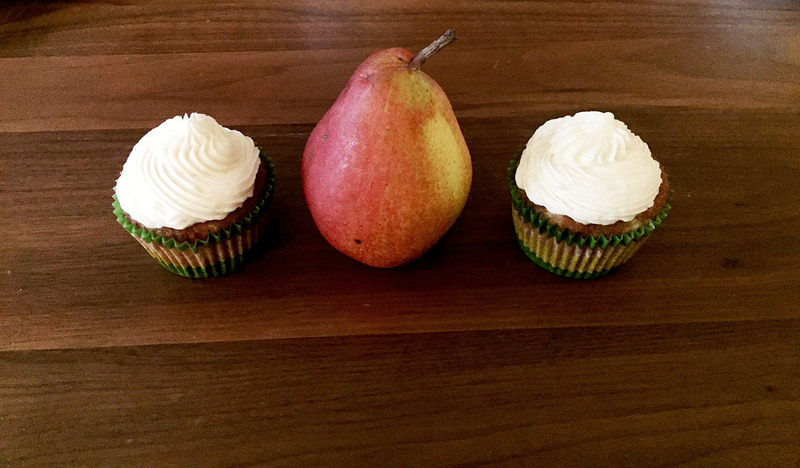 Pears with spices seemed like a good match for a fall cookout, so I got to baking. Recipe below! 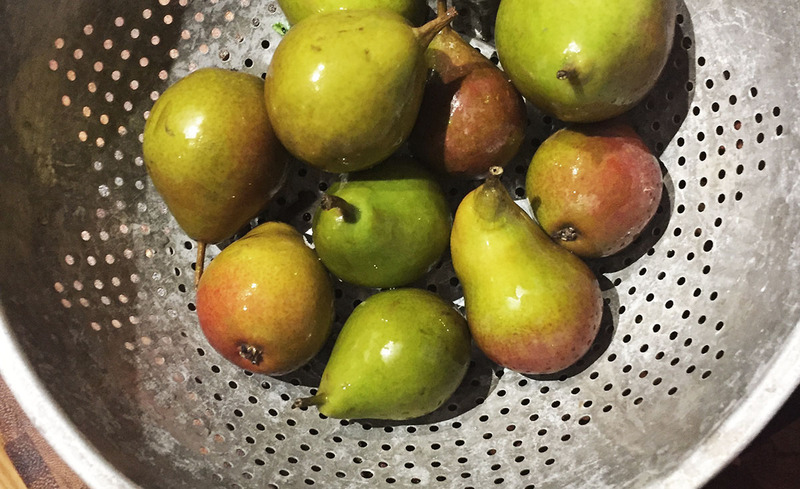 You can use 2 or 3 regular-sized pears or several small pears as I did. They are somewhat hefty because of the chunks of pears, but moist and not too dense. We had Blue Pig Apple Cider Sorbet on the side, which was a nice pairing. Preheat the oven to 350° F, and line your pans with cupcake liners. Beat the butter and sugar on medium until creamed. Add the egg, then the vanilla extract. In a separate bowl, sift together the flour, baking soda, baking powder, cinnamon, ginger, and salt. Slowly add the flour mixture on low-medium until just combined, then mix in the diced pears. Scoop into pan with a ice cream scoop or your preferred method, filling cups about 2/3. Bake for 20 minutes, turning pans halfway through. Cool in pans for 5 minutes, then remove and cool completely on a rack before frosting with vanilla buttercream or your choice! 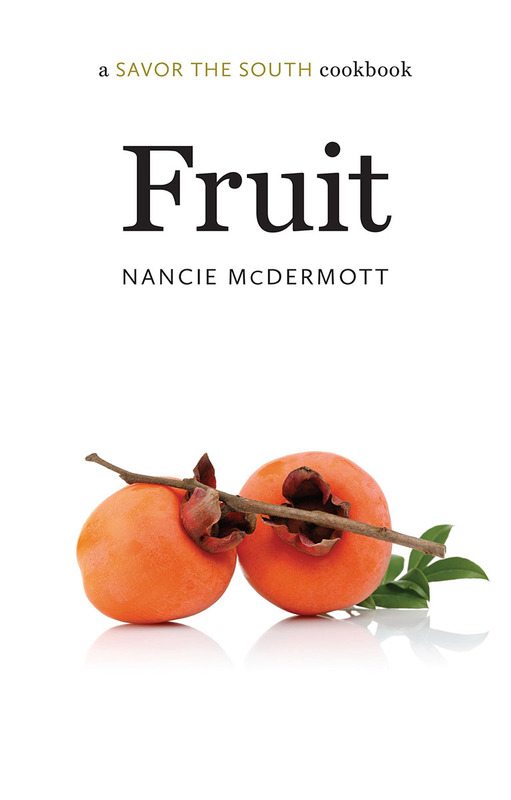 As a southern girl myself—I grew up in northern Louisiana peach country—I was delighted to receive a review copy of Nancie McDermott’s Fruit, part of the Savor the South Cookbook series. There are so many good ideas in this book. McDermott covers blackberries, cantaloupe, plums, figs, mayhaws, grapes, pawpaws, peaches, persimmons, quince, strawberries, and watermelon. She provides recipes from desserts to salads to main courses. McDermott introduces each section with lush descriptions, history of the fruit, and fond memories of her own. She also includes information about where and when each fruit grows and the ways it is commonly used. I look forward to trying many more of these recipes as I come across the various fruits here in New York or while visiting family down south. Reading through this book reminds me of childhood flavors–and makes my mouth water! 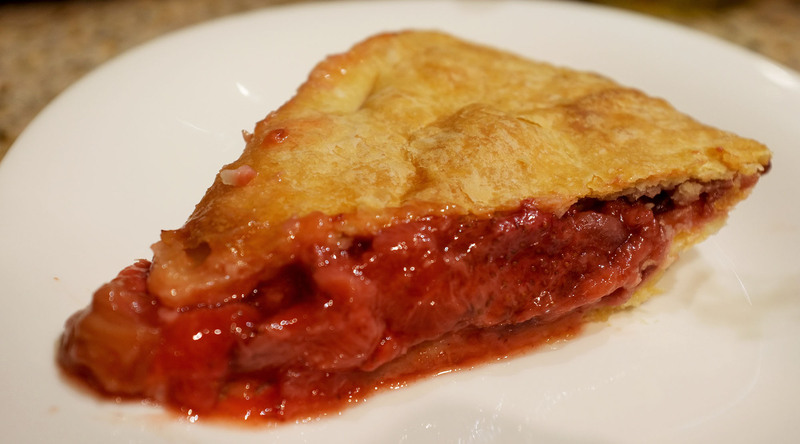 When I got fresh rhubarb with my farm share one week, I knew I had to try the strawberry-rhubarb pie recipe! 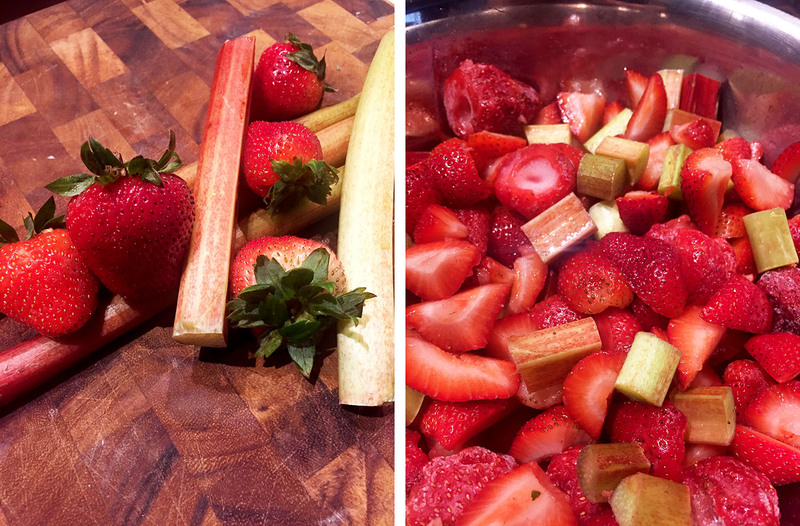 I found some good strawberries to pair with the farm fresh rhubarb which I chopped into 1/2 inch chunks as instructed. I hulled the strawberries, cutting larger ones in halves or thirds. I used cornstarch rather than flour (the recipe gives you this choice), as I was concerned it might be runny. It did turn out with more liquid than I’d have liked. I think my rhubarb and strawberries were especially juicy, it’s not a reflection on the recipe. Though it wasn’t the most gorgeous pie I’ve ever baked once sliced, it sure did taste good! The tart rhubarb with strawberries is just such a perfect pairing. This is another treat that also can’t go wrong with a scoop of ice cream. 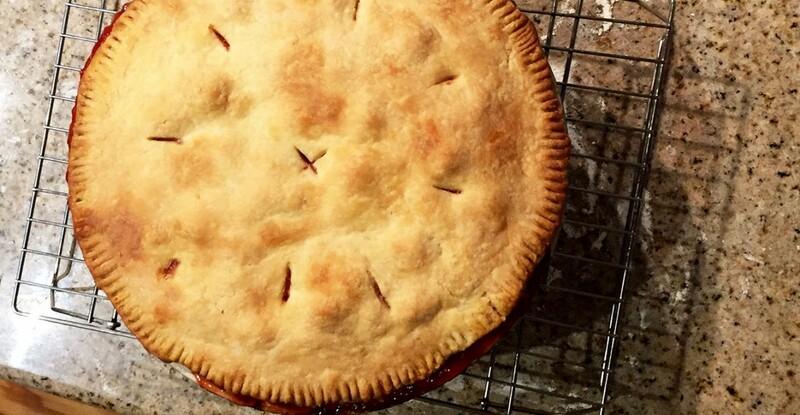 Want more rhubarb? 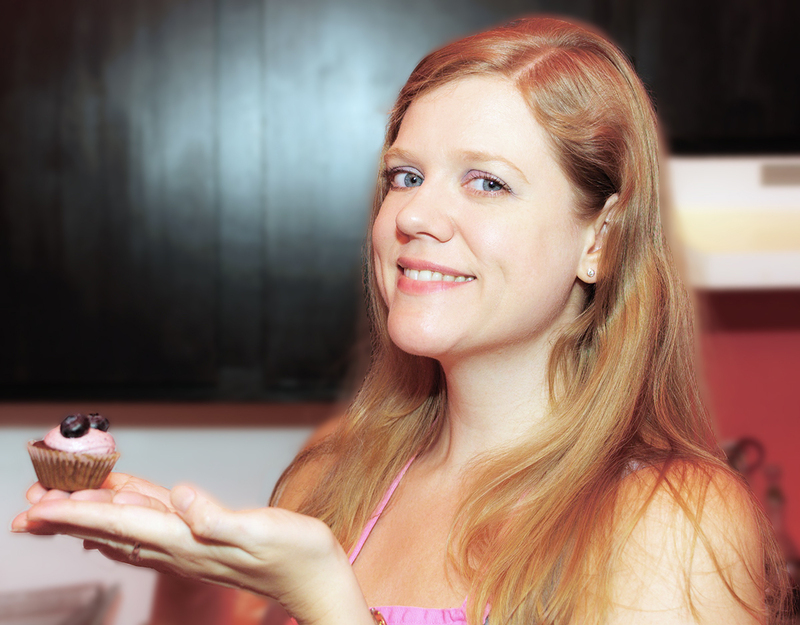 Check out my Rhubard Cupcakes with Candied Rhubarb Knots. Attending a July 4th party where some guests avoid wheat, I got a chance to delve into the world of gluten-free cooking. 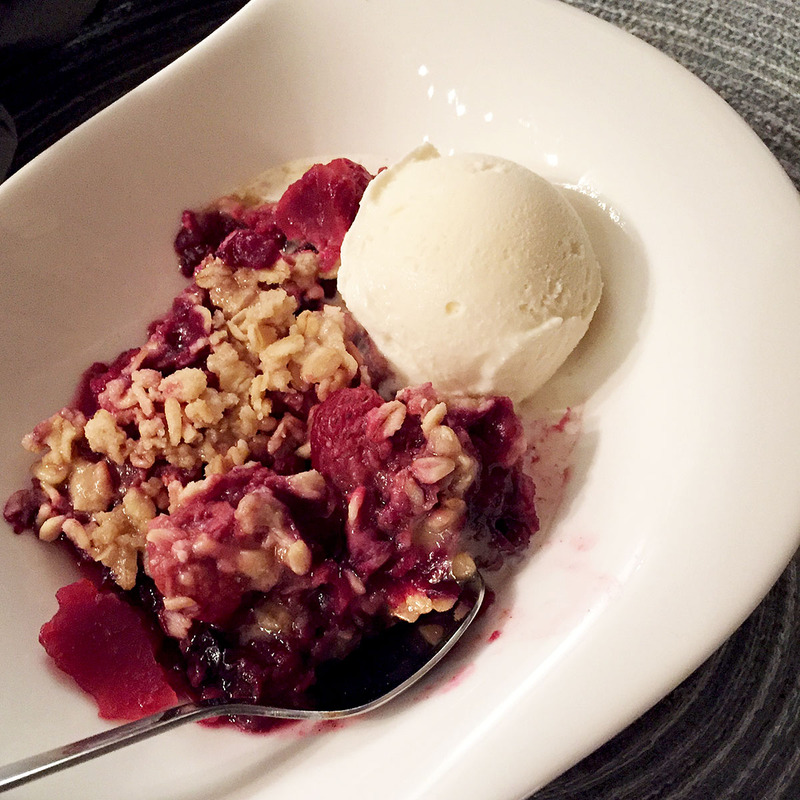 Using fresh summer fruit seemed a no-brainer, so I opted to make a berry crisp. A crisp is about as simple a baked dessert can get. 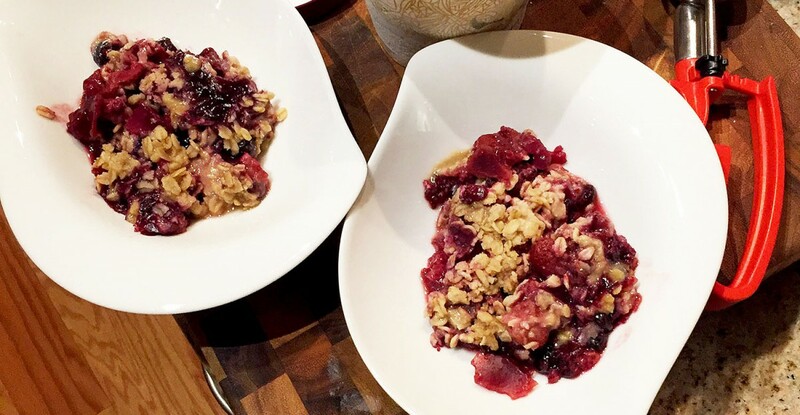 It usually involves fruit topped with some sort of crumbly crust or pastry, often involving oats, and is a perfect summer dessert, especially topped with vanilla ice cream. I made sure my rolled oats contained no gluten and bought some gluten-free all purpose flour from Trader Joe’s. (I’ll try actually baking with it sometime soon.) See the recipe below. Preheat your oven to 350 degrees F, and grease a 9-by-13-inch baking dish. Mix together the berries, white sugar, cornstarch and cinnamon until evenly coated and pour into the 9-by-13 dish. Combine the oats, flour, brown sugar, salt, and butter using your hands or a pastry cutter (or both!) until the dry ingredients are well incorporated with the butter. Some lumps are fine. Add evenly over the berry mix. Bake about 45 minutes, until the topping is browned and the filling bubbling. Cool 10-15 minutes. Serve alone or with a scoop of vanilla ice cream. 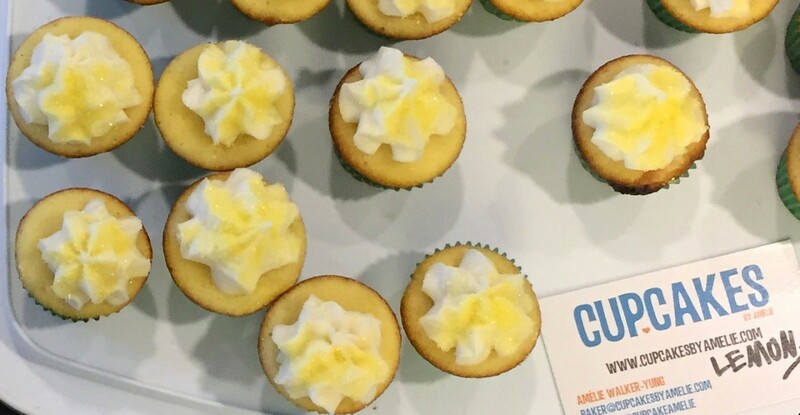 These mini rays of sunshine were bright treats for the two year anniversary of Tuesdays Together NYC (Rising Tide Society). Cream the butter, cream cheese and sugar at medium speed, then reduce to low. Add the eggs one at a time, then add the lemon juice and vanilla extract. Sift together the flour, baking powder, and salt. Add the lemon zest to the flour mixture. Incorporate the dry ingredients gradually into the wet ingredients, mixing until just combined. Scoop batter into lined muffin tins with an ice cream scoop or the method of your choice (about 3/4 full). Bake for a total of 20-22 minutes, or until a toothpick comes out clean, rotating pans halfway through.